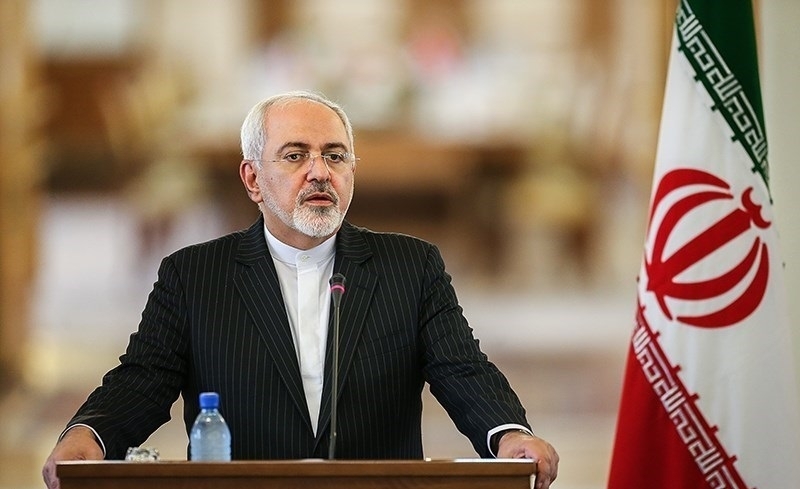 The media experts who help assist Iranian Foreign Minister Mohammad Javad Zarif decided that the best narrative for Iran, in the wake of the US designating the Islamic Revolutionary Guard Corps as a terrorist organization, was to blame Israel. Blaming Israel and Netanyahu specifically for the listing has now been Zarif's main talking point within the last day. This is part of a larger Iranian regime narrative that sought to link the IRGC listing to US support for Israel, trying to play into western criticism of Israel by pretending that the IRGC issue is solely an Israel issue, as opposed to linking it to the wider US-Iran tensions in the region. Zarif tweeted that the IRGC listing announced on Monday was "another misguided election-eve gift to Netanyahu. Another dangerous US misadventure in the region." This seeks to paint the US administration as not only beholden to Israel, but particularly to Netanyahu. Zarif and his advisors know that in the US and the West there is criticism of Netanyahu and especially the Trump-Netanyahu relationship. This seeks to tap into recent controversies in the US painting the US policies or officials as being "loyal" to a foreign power and doing Israel's bidding. This kind of undercurrent of antisemitism has sought to imply that US policy is guided by Israel. This whisper campaign has gone on for decades, but it gained strength during the Bush era when the US was accused of going to war in Iraq to help Israel. Even though these conspiracies are inaccurate, they have a hold over commentators and even some policymakers and former officials in the US and West. For instance Valerie Plame, a former CIA agent, tweeted a link to an article from September 2017 titled 'America's Jews are driving America's wars.' More recently Congresswoman Ilhan Omar has come under criticism for arguing that some think it is "okay to push for allegiance to a foreign country," implying that some in the US have allegiance to Israel. Other commentaries seek to paint the Trump administration as particularly beholden to Netanyahu, even claiming the decision to recognize the Golan was timed to coincide with Israel's elections. The Iran regime narrative today seeks to fuel this debate in the US and the West by spreading these stories in English language tweets and media. For instance in Farsi on Iranian media websites such as Tasnim, there is no mention of Israel on April 9. But Press TV, the English language Iranian channel, has two articles focusing on Israel and the IRGC decision. One looks at Palestinian groups slamming the IRGC decision while the other argues that the designation "stems from the US and Israeli regime's anger over the elite military force's power and success in foiling their plots in the region." Following in Zarif's footsteps, Defense Minister Amir Hatami praised the IRGC and condemned the US and "the Zionist regime." Ayatollah Khamenei, speaking in Farsi and less interested in messaging to a western audience, made a more clear argument in favor of the IRGC, noting that it had aided in the fight in Syria to support the Syrian government and that for this reason the US holds a "grudge." Khamenei's argument was more reasonable, linking US opposition to the IRGC to a regional struggle between the US and Iran and their proxies and allies. It is clear that Iran has sought out English media to single out Israel after the IRGC decision. For instance Zarif tweeted a second time with a screenshot of Israeli elections and a headline claiming that Trump labeled the IRGC a terrorist group at Netanyahu's request. "QED," tweeted Zarif, initials of a Latin phrase that are used to show that something you argued was correct. Zarif is trying to show off. He has also called the push for the designation a role of the "Netanyahu Firsters" who pushed for this regardless of "consequences for US forces in the region. They seek to drag US into a quagmire in his [Netanyahu's] behalf." Zarif is being smart and tactful here, trying to create daylight between Netanyahu, Trump and Americans, by asserting that a conspiracy guides US foreign policy, as opposed to the IRGC listing being in US interests. For instance there is no recognition that Iran has targeted US troops in Iraq over the last two decades or that the IRGC has engaged in other activities. Instead, it is positioned as solely an Israel issue. Hamas also thinks it is an Israel issue, phoning Zarif, according to Hamas statements, to "commiserate" with Iran. Zarif, of course, did not mention that he received this Hamas phone call, nor that Iran has been deeply involved in supporting Hamas and other Palestinian groups.